Manchester City manager, Pep Guardiola is ready to rival Premier League champions, Chelsea for the signature of Crystal Palace star in the January transfer window. Despite enjoying an unbeaten start to the Premier League season having dropped just two points so far, this season Pep Guardiola has not hidden his desire to strengthen his squad in the January transfer window. 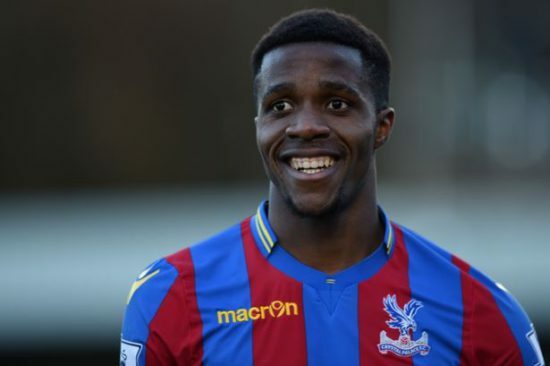 Reports making the rounds suggests the Blues are ready to make a move for Ivorian international, Wilfred Zaha who has been nothing short of sensational since his return from injury to the Roy Hodgson led side who have now moved up to 14th on the log despite a woeful start to the season. However, according to reports from English publication the Daily Express, the Ivorian could be the subject of a two-way transfer battle between the Premier League champions and the current Premier League leaders should a move for Alexis Sanchez falls through. Wantaway striker, Alexis Sanchez who has refused to sign a new deal at the Emirates and could leave the Gunners for a cut-price deal next month continues to be linked with a potential winter move to the Etihad after a move for the Chilean in the summer failed to materialize on deadline day. Although, Alexis Sanchez remains Guardiola’s first choice, having an alternative such as Zaha makes perfect sense given his age and potential. The 25-year-old has featured in 12 games for the Eagles across all competitions scoring 4 goals.